Happy Fourth of July! 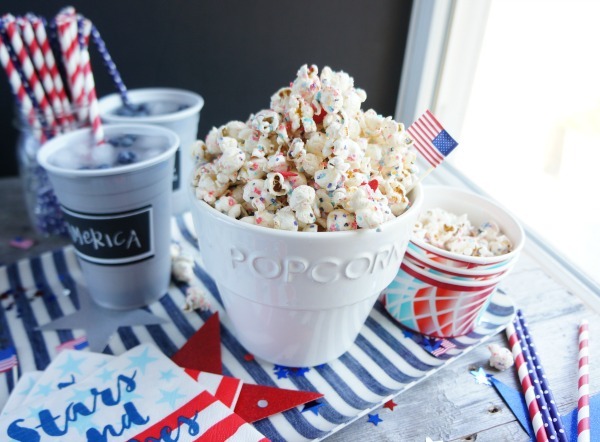 I’m adding a little crackle and pop to your holiday with this Fourth of July Firework popcorn. This festive treat is perfect for kids and adults alike! We kept plans this year pretty open, and learned that some friends were having a BBQ tomorrow, so I’m bringing my culinary talents to their house! As I mentioned on my Fourth of July Round Up I have some fantastic festive, appetizers, sides, cocktails and desserts that are just perfect for this holiday! 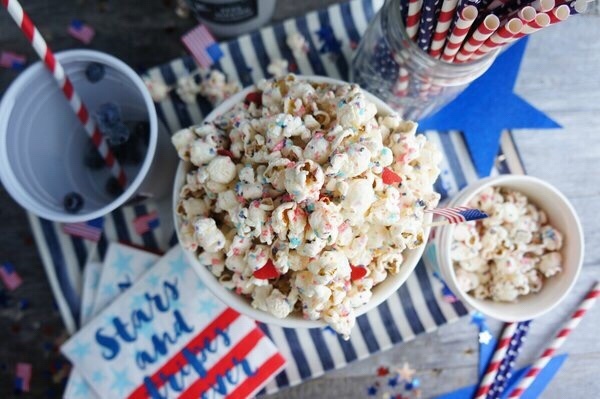 So when the main event starts, I have created something so magically delicious that you’ll have a hard time deciding what’s better: the fireworks or the popcorn! I have to admit that I could NOT stop eating this firework popcorn after making it today. I had to set some aside for Allison when she gets home, but it’s so addicting! I love that the pop rocks feel like little fireworks in your mouth. Popcorn is always a crowd pleaser, and this recipe is so perfect to make with the kids, too! I have teamed up with Solo to show you just how easy it is! In a microwave safe bowl, melt your candy melts in 30 second increments until fully melted. If the melts are too thick, you can thin it out by adding a tsp or two of crisco shortening. Stir to combine. 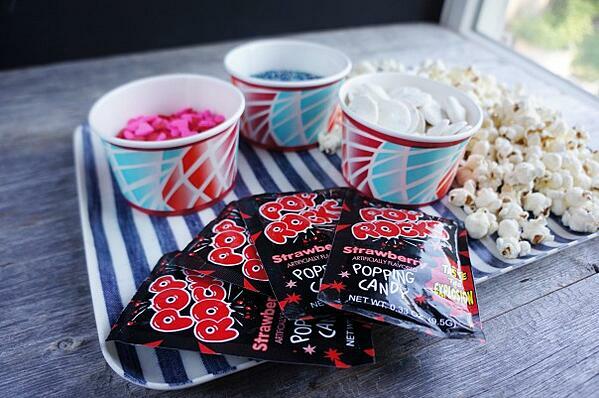 Once your candy melts are ready, add to the popcorn and stir to combine. Add the strawberry Poprocks, blue sprinkles and red hearts. Stir to combine. 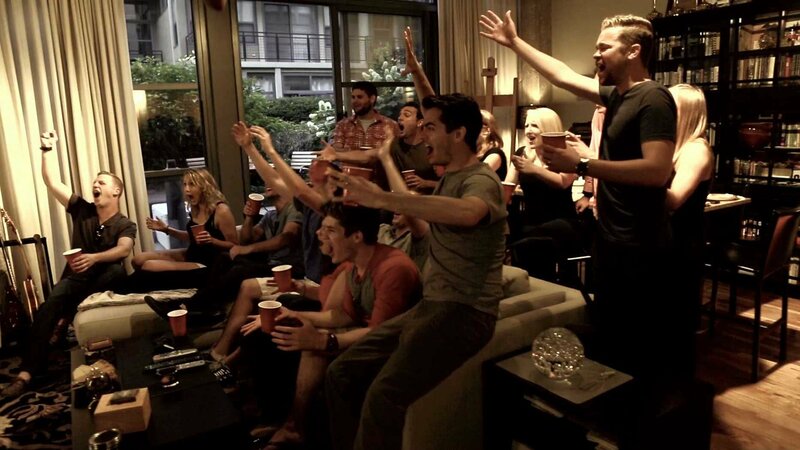 Pack up your firework popcorn and head out to view the real fireworks! Don’t forget your Solo cups for your favorite festive drink! I love using these Write On! cups so that people can keep track of whose drink belongs to who!